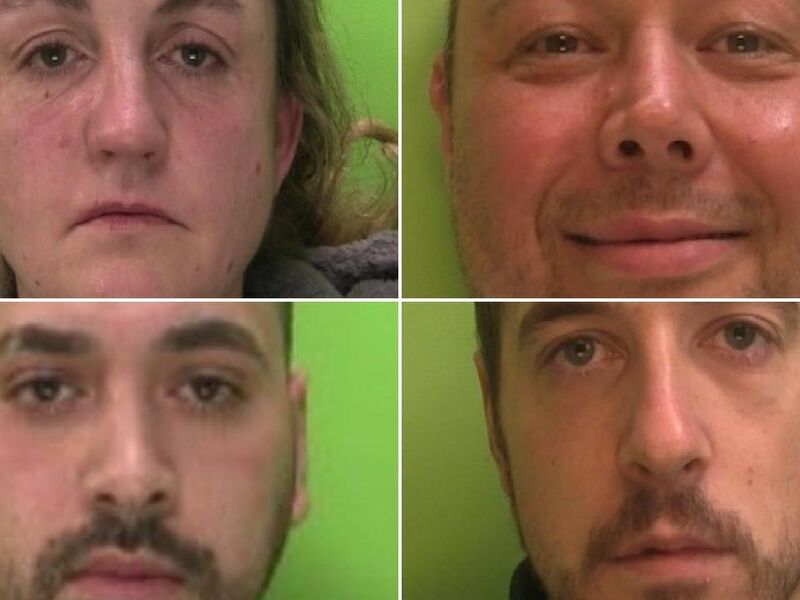 These are the faces of the criminals jailed in courts in Nottinghamshire in the past month. Perry, 50, of Sandon Street, Nottingham, admitted burglary and was jailed for two years and four months. Swain, 19, of Mansfield Woodhouse, admitted 3 breaches of a criminal behaviour order, handling stolen goods, possession of an offensive weapon, possession of a bladed article & driving while disqualified and was jailed for a year. Rowley, 46, of Beckley Road, Nottingham, pleaded guilty to burgling a home on Franklyn Gardens, Aspley. He was jailed for 15 months. Alina-Aretina Iancu, 26, of Lamcote Grove in the Meadows, admitted two counts of theft from person, one count of conspiracy to commit theft and fraud and one count of fraud by false representation and was jailed for 46 weeks.